The IC737w features a Pan/Tilt rotation and embeds a PIR and thermometer sensor. 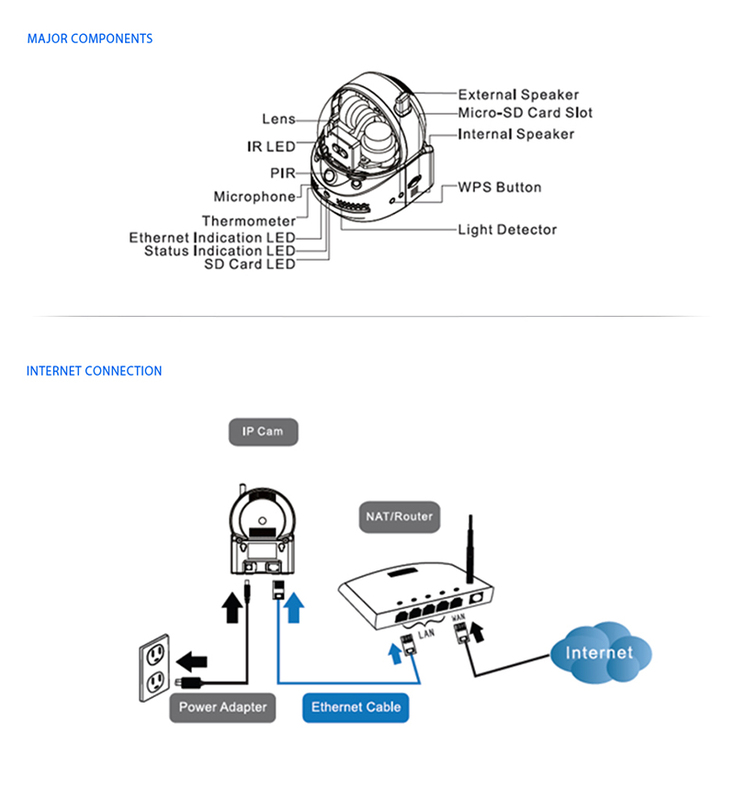 The camera itself will allow you to have full surveillance solution without the need to connect any other devices. Use the thermometer and the PIR sensors to have an optimum control of your home. You can assign alarms to these sensors to be notified whenever something abnormal occurs in your house. For day & night usage, the IP Camera features one single lens equipped by an Infrared cut-off filter. The Infrared filter will sense the luminosity of the room and will switch the filter to either day or night mode. 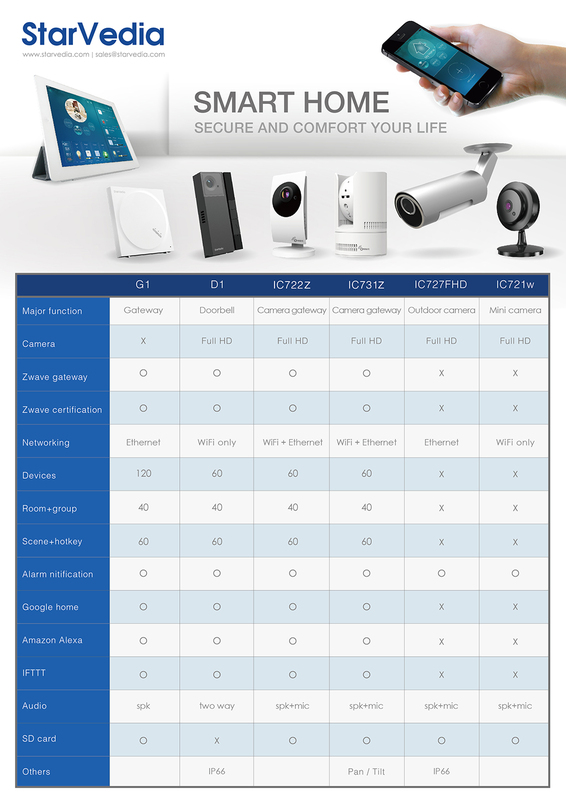 mCamView2, with its intuitive design, will let you have the best usage and user experience of your IP camera, you will be able to easily configure and use all the innovative features provided by your camera. You will be able to configure alarms notifications and associated schedules so you can define how and when you will be notified when something abnormal happens inside of your house. In few taps on the App, you will be able to playback your video recordings stored in your smartphone memory, in your camera SD card, your Dropbox account and your NAS devices. You can very intuitively configure our revolutionary Time-Lapse recording feature and Playback your Time-Lapse videos.